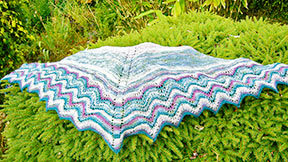 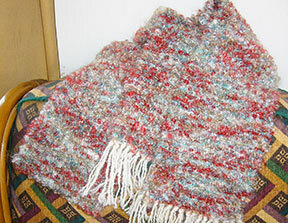 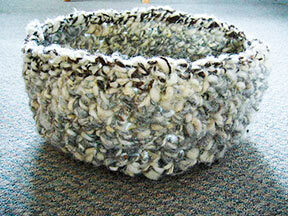 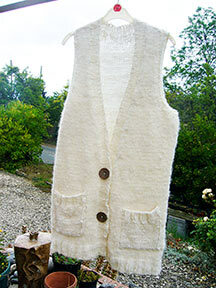 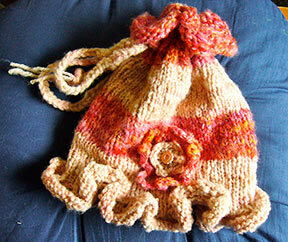 Above is a pets curl up crochet nest, liked by cats. 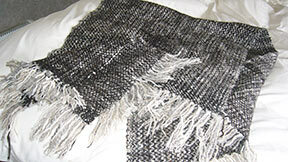 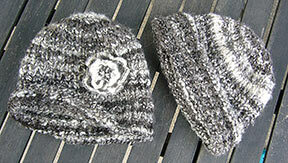 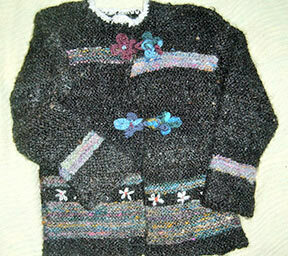 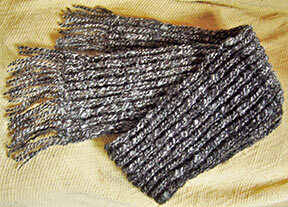 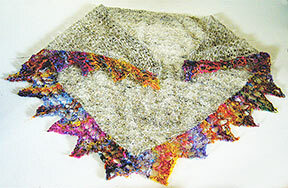 Left is the underwater scarf, pattern same both sides. 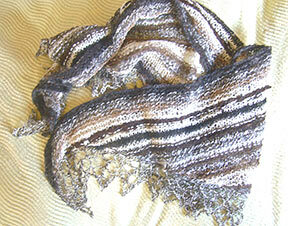 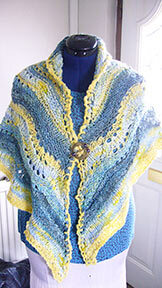 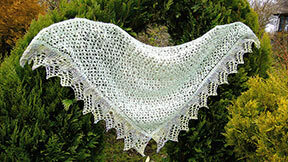 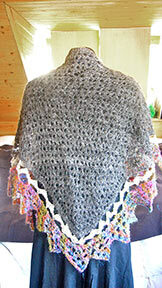 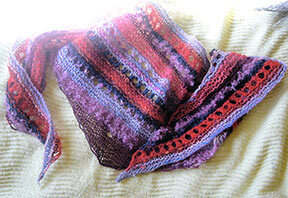 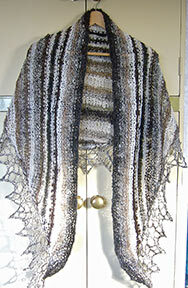 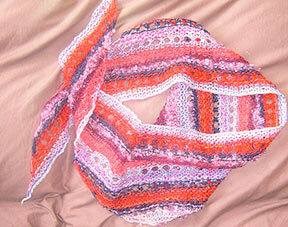 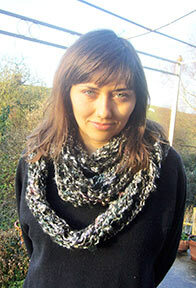 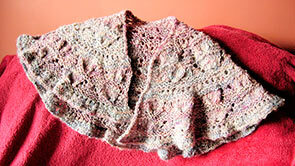 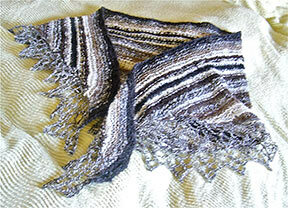 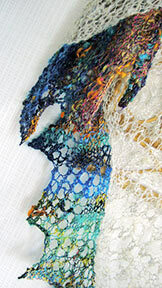 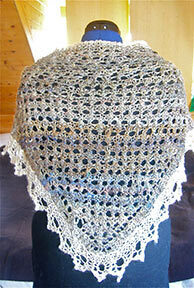 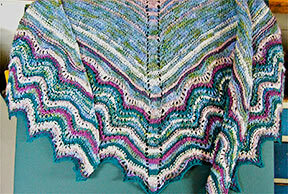 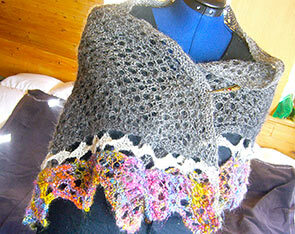 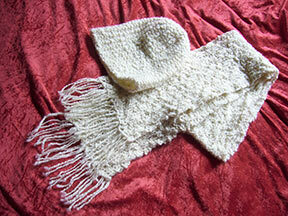 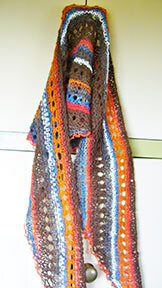 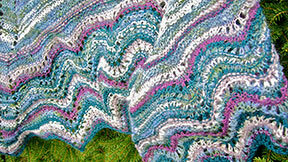 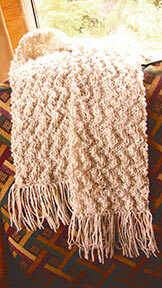 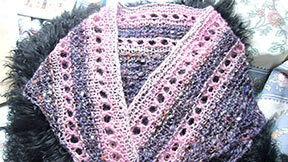 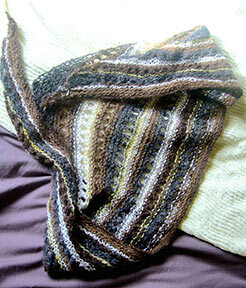 Left is my version of the Multnomah shawl, beloved on 'Ravelry'.